I stopped buying most commercial cleaners over a year ago, and have been making my own ever since. Why did I make the switch? Because commercial cleaners contain toxins, chemicals, and other harmful ingredients that may cause a variety of negative side effects, including cancer and respiratory issues. They’re also bad for the environment, expensive, and unnecessary. It’s especially important to consider the harmful effects of commercial cleaners if you have young children or small pets at home, since they can be even more susceptible to the toxins. Vinegar is a wondrous ingredient: it is all-natural, non-toxic and eco-friendly. Vinegar has a high acidity level, which makes it an effective mold, bacteria, and germ killer. In addition, the acid levels break down grease and dirt, making it a good choice for cleaning, even if you aren’t concerned about bacteria. Vinegar has a really really long shelf life, so a bottle of it should last through the duration of your life. It doesn’t need to be refrigerated, and best of all, it is insanely inexpensive. You can buy a gallon of vinegar for around $2. Baking soda is incredibly versatile, and can be used in hundreds of ways for non-toxic cleaning. Baking soda is an antibacterial, and it has a mild abrasive quality that is useful for cleaning tough spots, without damaging hard surfaces. It is a natural deodorizer, and works great for tough jobs, like cleaning the bathtub or kitchen sink. A single box of baking soda is generally under $1, which makes it a very thrifty choice as well. For more information about essential oils, check out my oil posts. These 3 items, combined with hot water is pretty much how I clean 95% of my house (I use Honest Co’s toilet cleaner, because I haven’t figured that one out yet). It feels great to have all that open space below my kitchen sink, because my homemade cleaning supplies take up such little space. In addition, I don’t have to worry about my toddler or pets accidentally getting into cleaners and harming herself! 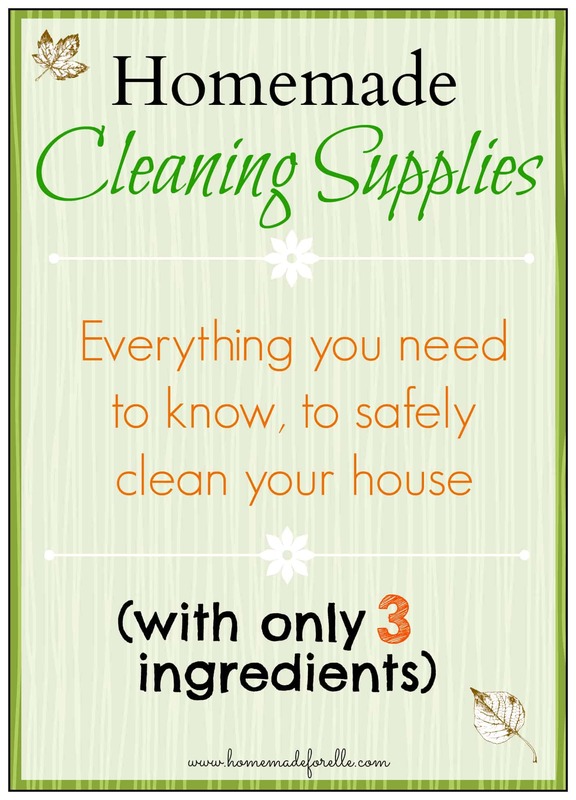 Here are some recipes for homemade cleaners to get you started! 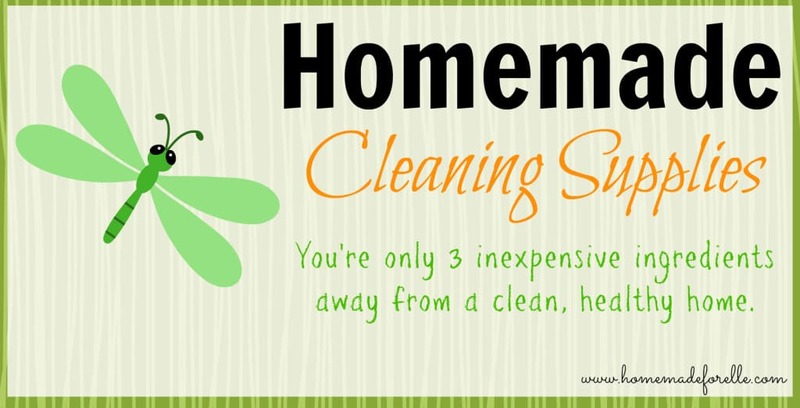 Do you make your own cleaners? What is your favorite recipe? I have three dogs and they all prefer toilet water over their bowls so finding a way to clean the toilet that was safe for our puppies was imperative. Vinegar and baking soda works great and is safe! I imagine it is extra important to use safe, natural cleaners in that instance. Glad it works so well! I am excited to try it myself, this weekend. The same things will clean your toilet, as I figured out yesterday. Pour the vinegar into the toilet and leave it to sit for a bit. If it looks particularly gross, add baking soda before swishing the toilet brush around. Then flush. I will give that a try! It makes sense that those ingredients would disinfect and clean, especially the vinegar in combination with baking soda. Thanks for the suggestion! Awesome, I will check that out. Thanks for sharing!